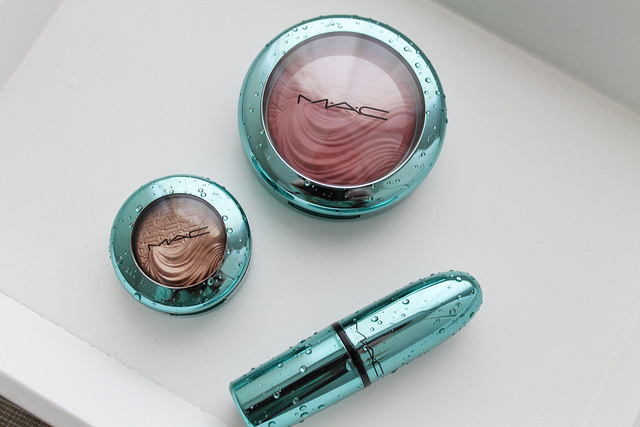 MAC’s summer collections are always a firm favourite. Being in the UK is extra lucky as the summer collection is released here first. I didn’t expect this collection to be released for another week or two but I spotted online on Thursday and my order arrived this morning. I must admit, it arrived super fast – I used standard delivery as I missed the next day cutoff and it still arrived today. This time around I purchased three products. Having to make a wish list without seeing swatches first is tough so I just went from the colour story and descriptions on the MAC website. The packaging is so beautiful. Even the outer boxes have the water splash on. On the product packaging are 3d water splashes which fit in with the aquatic theme. 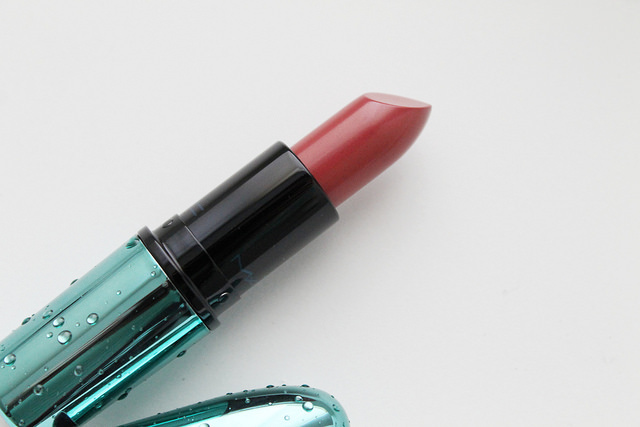 I chose the sea me hear me blush, mystical lipstick and eyeshadow in lorelei. Sea me, hear me is an extra dimension blush in beige pink. I would describe it as a rose pink with beige undertones. 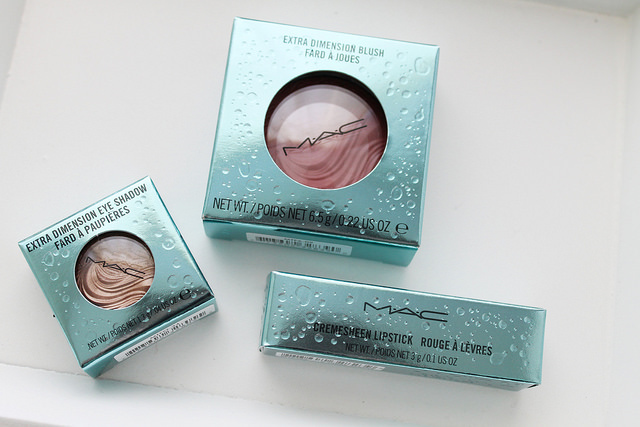 The extra dimension formula blush is described by MAC as a liquid/powder with prismatic reflections. 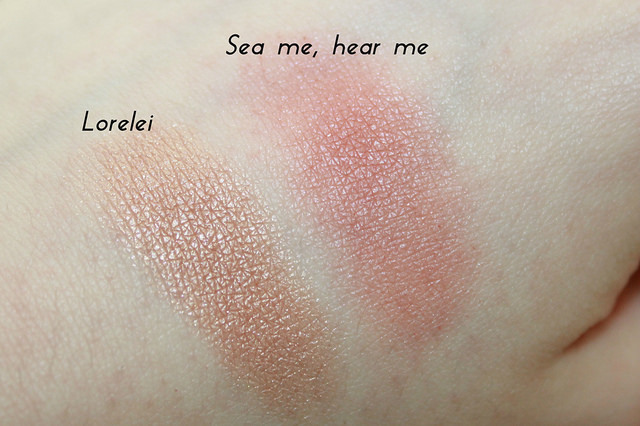 Sea me, hear me feels soft to touch and is pigmented but not overly so. I’m NC15 and though I havent tested the wear yet, on the swatch (below) I had to build up to get the colour you see. I’d imagine this is a buildable product so it wont apply to heavy on lighter skin tones. 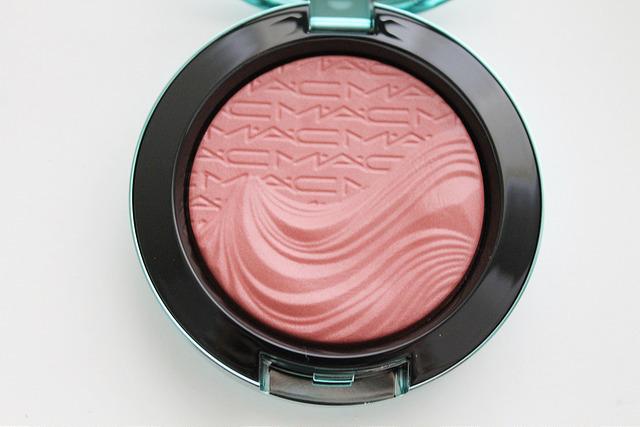 This blush has a slightly shimmery and metallic finish. 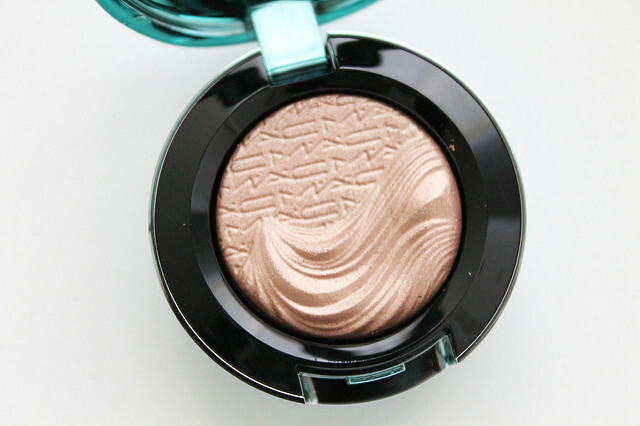 Lorelei an extra dimension eyeshadow in a golden beige shade with a metallic finish. 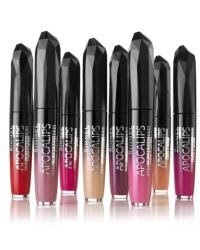 The extra dimension shadows in this collection are mini sized and not the larger versions that have previously been released. Being a neutral lover, I think this shade is so beautiful. 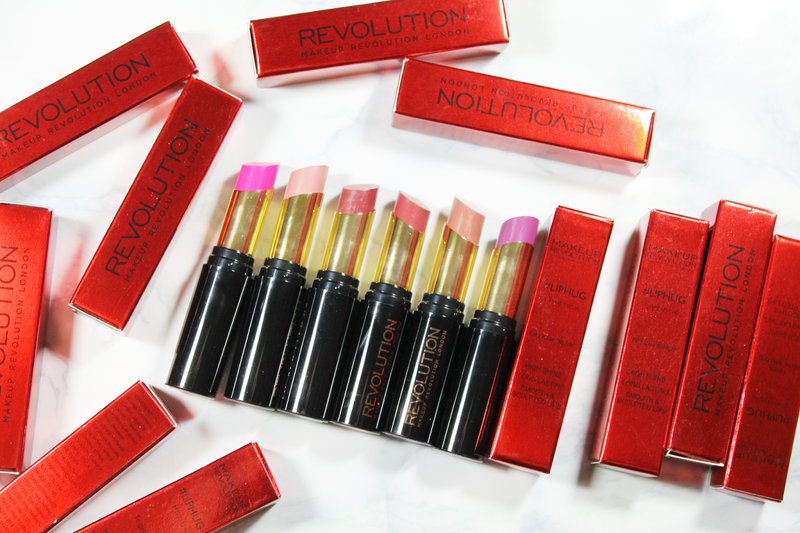 The pigmentation is incredible, better than the blush. The swatch below is literally a one finger swipe. The texture is also smooth and soft. 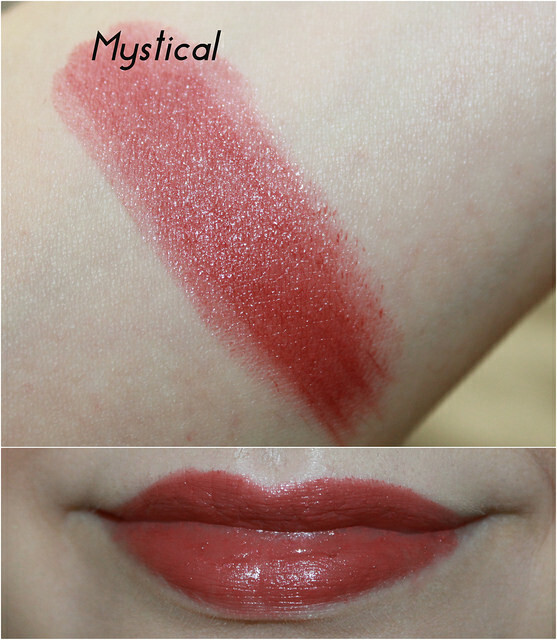 Finally, I ordered a lipstick in mythical – a midtone creamy rose with brown undertones in a cremesheen finish. I generally find MAC lipsticks drying but my lips are naturally on the drier side anyway. The cremesheen finish feels creamy, smooth and comfortable to wear. I usually get around four hours wear with a MAC lipstick. 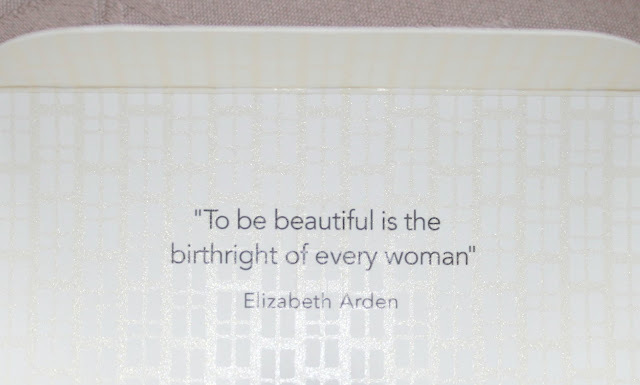 Today, I have Elizabeth Arden’s first signature fragrance to share with you. 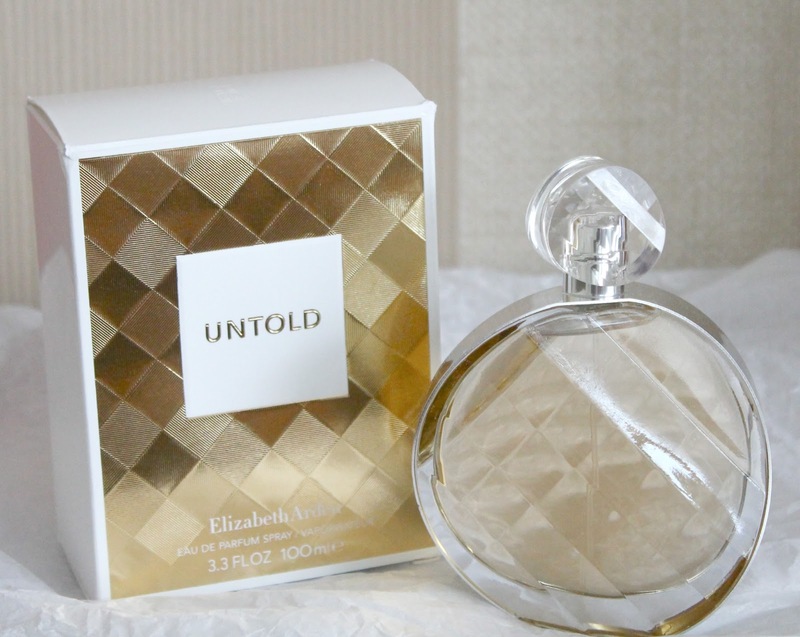 Untold celebrates the individuality of the modern woman and the untold stories that define and inspire her. The fragrance is a sophisticated, sensual, feminine scent that captures the different facets that make the modern woman intriguing. Untold opens with notes of pink pepper, crisp bergamot and fruity accents of pear and blackcurrant to reflect optimism and playfulness. Delicate gardenia petals and Egyptian jasmine reveal romantic femininity, whilst sensuality and mystery is evoked by notes of sandalwood, ambers and musk. 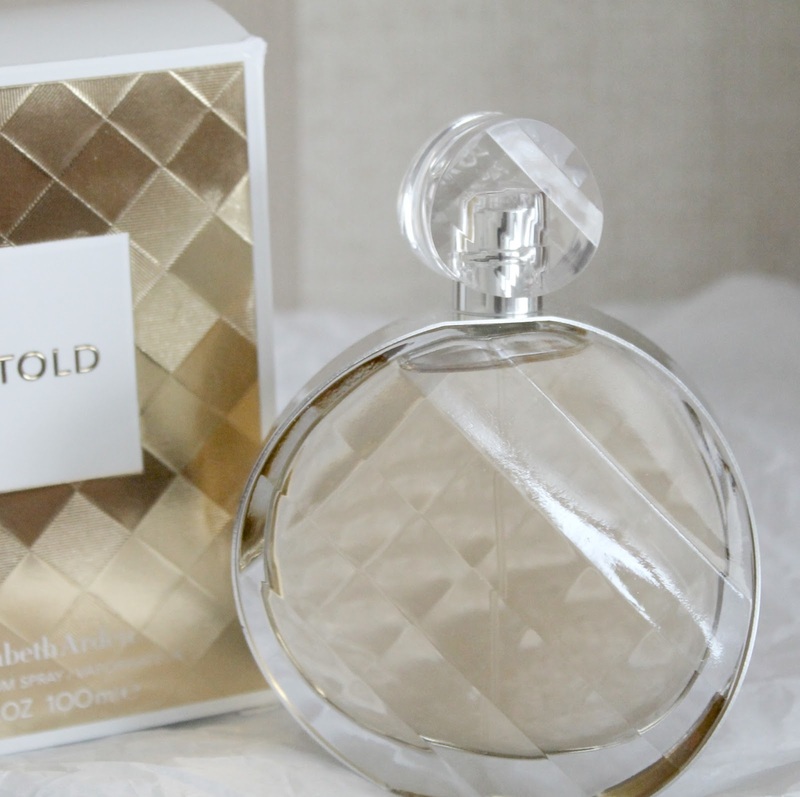 Untold is a soft but sensual fragrance that lingers without overpowering meaning its perfect for daytime wear as well as evening. A floral, fruity scent that whilst isn’t particularly groundbreaking would make a lovely fragrance for autumn/winter. 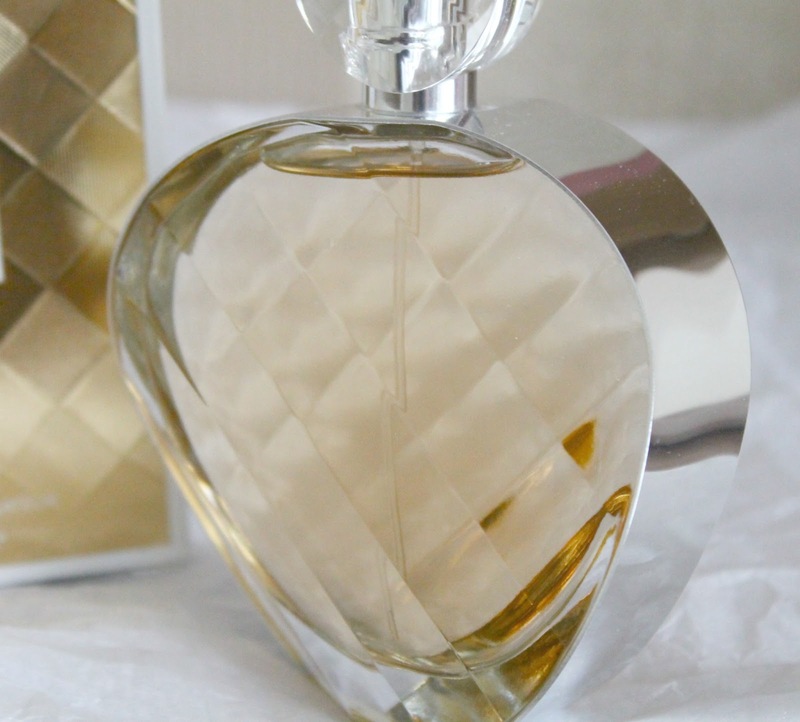 The beautiful glass bottle embodies the multi-faceted versatile nature of the modern woman. It looks really elegant and adds a hint of glamour to any dressing table. I’m really surprised by how much I like this fragrance. Elizabeth Arden aren’t usually my go to brand for fragrance but Untold is a beautiful soft floral scent.